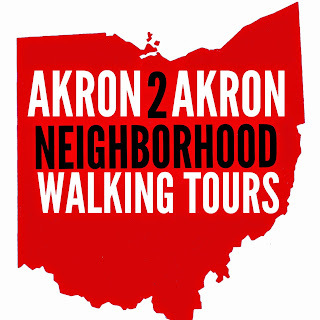 Akron2Akron Neighborhood Walking Tours: Welcome! Welcome to our new space! Please excuse the dust as we continue to enhance Akron2Akron. 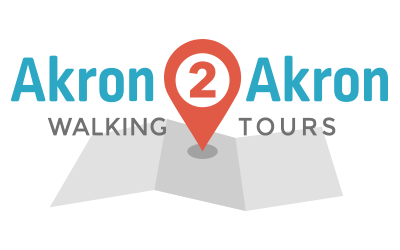 Over the next few months you will notice a shift in both the aesthetics of this page as well as in the way Akron2Akron operates. We will continue to host our monthly tours but our goal is for this be a citizen-run initiative. We want those who are passionate about where they live to be empowered to lead a tour at any time, even if our official calendar is booked with a tour for the month. We hope to be able to provide you with a toolkit and promotional support to arrange and lead your own tour, however you chose to. For now, we hope that you continue to visit this space as well as our social media pages for updates. Thank you for all of your support of Akron neighborhoods!